This is a hand dyed double stranded sock blank. 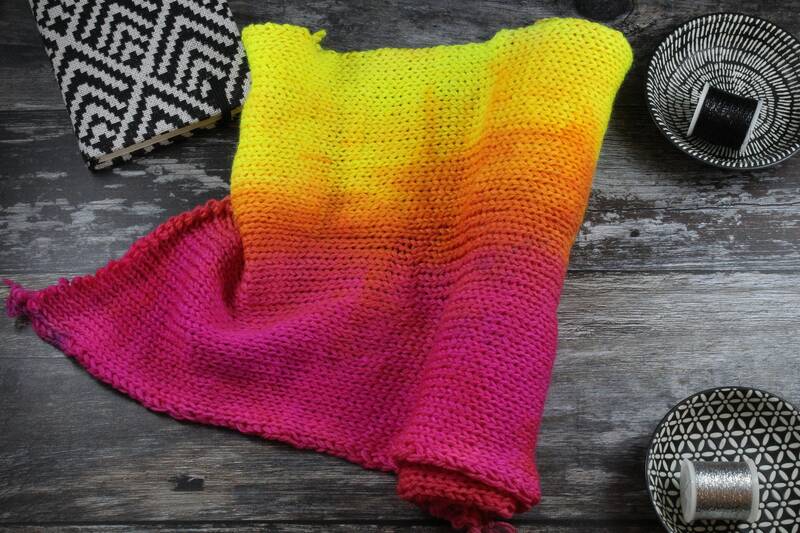 These are loosely knitted rectangles that allow me to dye gradients and more accurate stripes. You then unravel the yarn into a cake or knit straight from the blank itself (I like this way, no tangles!). The fabric is made up of two strands knitted together so you'll have two lengths of identical yarn for identical socks or hand warmers etc. The yarn is 4ply/sock weight. You get 100g/425m (so each strand will be 212.5m) and the blend is 75% superwash merino and 25% nylon. One blank will be ample enough to make an excellent pair of stripy socks.